Pastor Charles Spurgeon The Great Preacher! 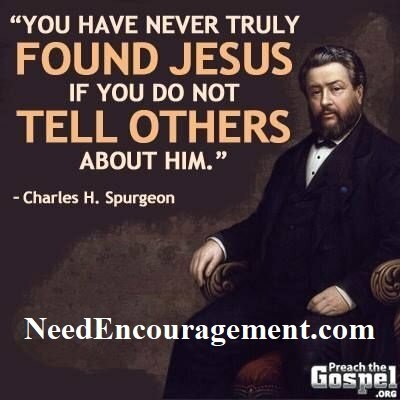 The great Pastor Charles Spurgeon will point you to Jesus Christ! Here are some encouraging scriptures about preaching. Galatians 1:9 As we have already said, so now I say again: If anybody is preaching to you a gospel other than what you accepted, let them be under God’s curse! Listen To Pastor Charles Spurgeon And 21 Of His Quotes! Pastor Charles Spurgeon Is A Famous Baptist Preacher! Paul wrote to Timothy, a young pastor, “Do your best to present yourself to God as one approved, a workman who does not need to be ashamed and who correctly handles the word of truth” (2 Timothy 2:15 NIV). But the word must be made relevant to the topics of the day. I believe it was the British Baptist preacher, Pastor Charles Spurgeon, who once said that the preacher must prepare his sermons with a Bible in one hand and a newspaper in the other. This will give him much insight into the issues of the day. The word of God is divided into two central teachings, the law, and the Gospel. I always capitalize the word “Gospel.” I do this to emphasize that the Gospel always must be predominant, but the law must never be left out. The law always tells us what we should do and what we have failed to do. It always exposes sin, but it can never save. That is, it can never forgive our sins. Charles Spurgeon Talks About God Being With Us! When Paul uses the words translated above as “correctly handles” the literal translation is “cutting a straight road through difficult terrain, make a straight path.” That’s why the King James Version translates it, “Study to shew thyself approved unto God, a workman that needeth not to be ashamed, rightly dividing the word of truth” (underlining mine). The preacher must plow a path through the law and Gospel, rightly dividing them. To do that he must be willing to deal with the moral issues of the day, such as abortion, homosexuality, immigration, and poverty. These issues are not political, regardless of what some may say. They fall into the category of the law. They deal with morality. That means that the pastor if he is faithful, must uphold what the Scriptures teach on these issues. He will not always be popular. He will be called judgmental by some. But the preacher must handle the Word of God like a surgeon handles a scalpel. It says in Hebrews 4:12, “For the word of God is living and active. Sharper than any double-edged sword, it penetrates even to dividing soul and spirit, joints and marrow; it judges the thoughts and attitudes of the heart.” If a preacher is faithful, he must use the Word in that way. He is not being judgmental, but the Word does judge us. Through the Word not only are the hearts of others judged, but his own heart is judged. For example, the Bible says in 1 Corinthians 6:9-10 (ESV), “Do not be deceived: neither the sexually immoral, nor idolaters, nor adulterers, nor men who practice homosexuality, nor thieves, nor the greedy, nor drunkards, nor revilers, nor swindlers will inherit the kingdom of God.” That covers about everybody, especially since Jesus pointed out that we can offend God’s law even with our thoughts. Thanks be to God Paul doesn’t end at verse 10. He goes on to say in verse 11, “And such were some of you. But you were washed, you were sanctified, you were justified in the name of the Lord Jesus Christ, and by the Spirit of our God.” That’s the Gospel. The Gospel does not excuse sin. It does not overlook sin; It does not license sin, It washes it away. Through faith in Jesus Christ and His sacrifice on the cross, it pronounces forgiveness, sets us apart unto God and declares us righteous in God’s sight. That’s the Gospel. The fruit of the Gospel is that it gives us a new heart that wants, even longs, to please God. We will fail at times (every day when we include our thoughts). Sometimes it will be an awful failure that brings shame upon Christ and us, but the moment we humbly confess our sins, God forgives us and renews us again. So the preacher must be faithful to preach both law and Gospel. It is the most important thing that he will ever do. It is also the most humbling thing he will ever do because he preaches to himself before he preaches one word to the flock. I ask for your prayers that I would always be faithful in sharing with you God’s Word. Lakes Area Christian Fellowship, Town of Rome, WI.